Choco lover desu. Rarely nothing about chocolate that I dislike. Oh, except those super duper bitter dark chocolate. Other than that I just love almost everything about chocolate. Decided to stop by 100¥ Shop to grab some juice and snacks and yes, their snowflake ice dessert! Of course, chocolate flavour desu!!! 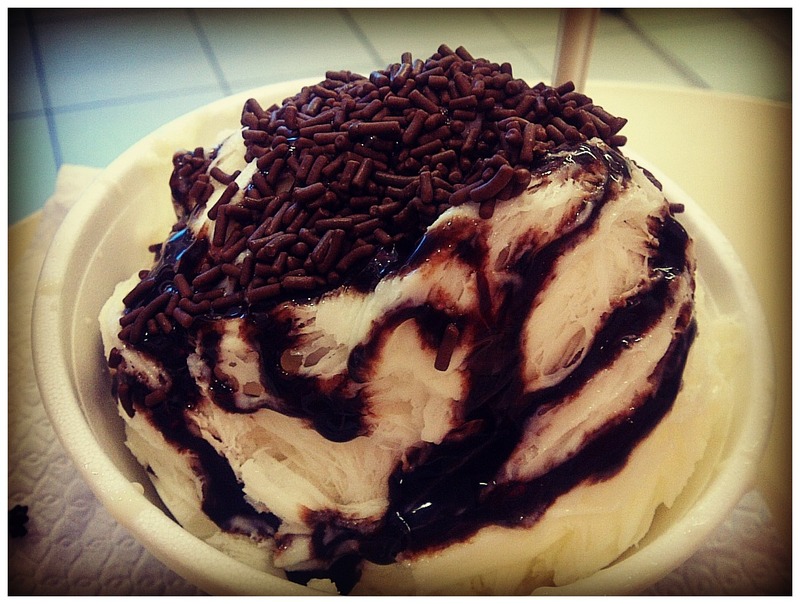 Can't forget its fluffiness that melts in my mouth. 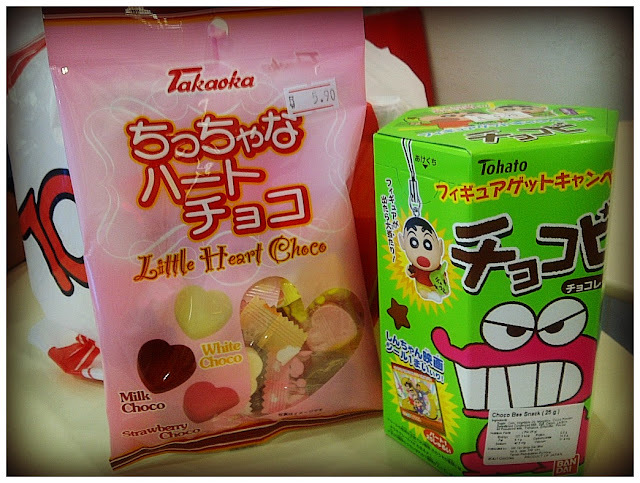 Heart Choco and Crayon Shin-Chan's favourite snack - ChocoBi!!! I love this snack so much!!! Thanks le bf sponsoring me half for this. Muacks! !